Untitled ["I Was Passionate"] by Lal Ded, translated by Jane Hirshfield, from Women in Praise of the Sacred. © HarperCollins Publishers, 1994. 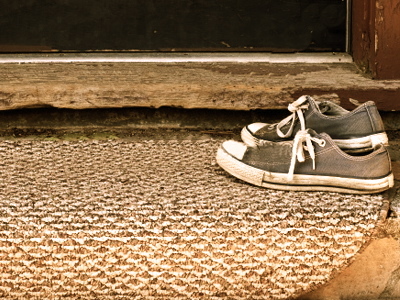 Photography credit: "Worn Blue Tennis Shoes Outside Door," by jpainting (originally color).